The next emoji character submission deadline has been moved up to July 1, 2017 to accommodate upcoming changes in the release schedule for Unicode versions. Emoji character proposals submitted before July 1 are eligible to be considered for the 2018 version of Unicode, those submitted after that date will be considered earliest for the 2019 version. The change in deadline only affects proposals for new emoji characters; proposals that don’t involve new characters — such as for new ZWJ sequences or subdivision flags — are unaffected by the change in deadline. 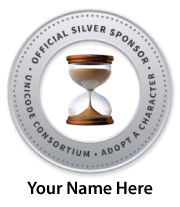 The annual Unicode Standard release is being shifted from June to early March to to better align with product development schedules across the industry, especially for mobile products. This shift will not fully take effect until 2019, but in preparation for this change the submission date for emoji character proposals is being adjusted now. The 239 new emoji are also now available for adoption to help the Unicode Consortium’s work on digitally disadvantaged languages.